The Jeep Renegade is the SUV that takes your rebellious side on the ultimate adventure in Palestine, TX. Come into Elliott Chrysler Dodge Jeep Ram Fiat Palestine and take a spin in the new Renegade today. Do you have a wild side that is hiding inside just waiting to come out and play? Does your inner rebel need an adventurous outlet? The Jeep Renegade is the SUV that lets you harness your inner outlaw and play hard when you want to, then take you to the office on a Monday morning. Let us give you a tour of the Jeep Renegade at Elliott Chrysler Dodge Jeep Ram Fiat Palestine. When that unbelievably long workweek is finally over, you are ready to blow off some steam and take your frustrations out on the trail. You need an SUV that can keep up with your wild side while giving you the comfort that your inner snob desires. The Jeep Renegade is your match made in heaven because it is ready to play as hard as you are. You can take your Renegade almost anywhere because it has Selec-Terrain settings for mud, sand, rock, and snow to give you better traction wherever you may end up. The 4×4 system gives you better handling when you need it and the Hill Start Assist and Hill Descent Control lets you tackle the toughest mountains with ease. You can even take your toys along for the ride because the Renegade can tow up to 2,000 pounds when properly equipped with power left over so go ahead take the jet skis or ATVs out to play and adventure your way. Let Elliott Chrysler Dodge Jeep Ram Fiat Palestine show you how the Renegade can help you play. After you have had a chance to satisfy your weekend wild side and get a little rest and relaxation, it is time to head back to the office. The good news is that you don’t need a second vehicle to help you get there. The Jeep Renegade is ready to aid in your daily commute too. The MySky open-air dual-panel roof gives you the warmth of the sun and the bright light to help you wake up on the way to work. You can even get the fresh air you need to stimulate your senses. When the weather turns frightful, turn on the heated front seats and heated steering wheel to quickly warm yourself for the perfect temperature every time. Use the navigation system and find the fastest way to the office so you can hit the snooze button a few more times without arriving late. You can even use your voice to command the cabin on the way to work so you can focus on the road ahead. Elliott Chrysler Dodge Jeep Ram Fiat Palestine is standing by to give you a tour. Whether you are headed to the office, going for a quick trip to the grocery store, or you are heading out for the weekend, you need to know you will arrive at your destination safely. The Jeep Renegade has your back because it is packed with advanced safety features designed to keep you safe while on the go. Changing lanes has never been easier than it is in your Renegade, with Blind Spot Monitoring that lets you know when there is a vehicle in your path so you can change lanes with confidence. There is also Full-Speed Forward Collision Warning with Active Braking that can help you stop so you can avoid rear-ending the vehicle in front of you. LaneSense Lane Departure Warning with Lane Keep Assist helps you to stay safe in your and will direct you back into your lane if you don’t react. For more information on safety features come visit us at Elliott Chrysler Dodge Jeep Ram Fiat Palestine today. 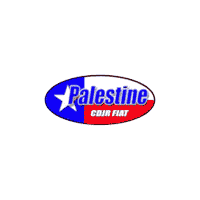 Elliott Chrysler Dodge Jeep Ram Fiat Palestine is your destination for all things Jeep including the Jeep Renegade. We know you will love this outlaw as much as we do and can’t wait to show you how it can improve your driving experience both on and off-road. We are here to help ensure that your car buying experience is the best one yet and will take the time to truly listen to your needs so we can help you assess what is most important to your lifestyle without breaking your budget. Our friendly, courteous, knowledgeable, and helpful sales professionals are standing by to serve you so come in and see us today! We look forward to earning your business the right way.